This tour departed in 2015. Click below for current tours. If you’d like us to arrange a bespoke tour for a small or large group, please email us – we’ll be happy to advise. Over the third weekend of November, the vignerons of Burgundy and the great and good of the wine trade gather in the town of Beaune for “Les Trois Glorieuses”, a great, three-day harvest festival. There are bands and parades, street entertainers, market stalls, a half-marathon through the vineyards, countless opportunities to taste wine and menus gastronomiques in all the restaurants. A good time is had by all. One of the main events of the weekend is the Vente de Vin, an auction of wines from vineyards bequeathed to the Hospice de Beaune, a charitable institution founded in the 15th century. Members of the trade are invited to taste the wines to be auctioned in the modern winery built by the Hospice on the outskirts of the town. Members of the public get to taste a selection of the wines in the rather more atmospheric cellars of the ancient Hospice building in the centre of town. For a privileged minority, the other main events of the weekend are three sumptuous banquets. The first takes place at Clos Vougeot on the Saturday evening. You need to be a Chevalier du Tastevin or a Chevalier’s guest to get into this one. The second takes place, after the charity auction, in the Hospice de Beaune on the Sunday evening. You need to join a long waiting list to become a patron of this one. The third starts at mid-day on the Monday at the Château de Meursault. This is the one the vignerons go to and is a rather more relaxed affair. Every vigneron attending takes an armful of his or her best bottles to share. The celebration goes on until the last bottle has been consumed. For wine lovers, a visit to Beaune for the weekend of the Trois Glorieuses and the Vente de Vin, is an absolute must at least once in a lifetime. Because we have such good contacts in Beaune, we are able to offer a tour that will include access to a number of tastings not open to the general public, accommodation in what is generally agreed to be the best hotel in the town and places at the black-tie dinner in the Hospice de Beaune on the Sunday evening. The tour starts and finishes in Beaune, which means that participants need to make their own travel arrangements. Probably the best way to go is by car. It’s motorway all the way from Calais and so not a difficult drive. And having a car there means you will be able to take wine home, if you wish. Flying to Lyon and hiring a car is an alternative. Beaune is a comfortable two-hour drive by motorway from Lyon Airport. If you don’t want to drive, it is possible to travel by high speed train to Dijon (changing stations in Paris). There is then a good local service down the Côte d’Or to Beaune. You will stay in the 4-Star/Deluxe Hotel Le Cep, a member of the Small Luxury Hotels of The World group. Le Cep has a private and secure car park. 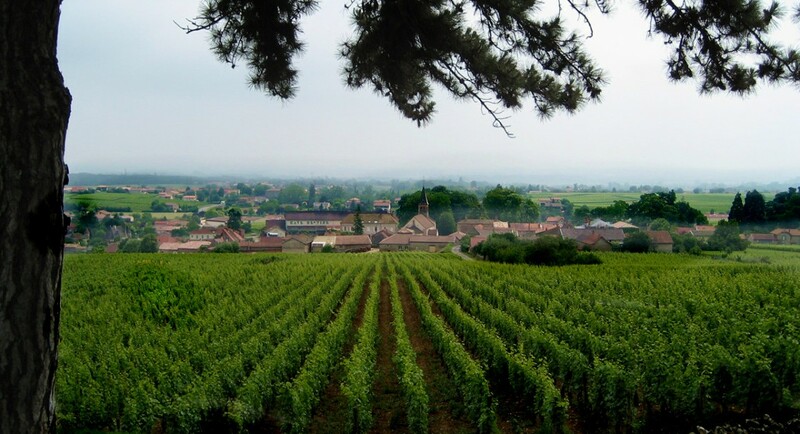 We meet at the Hotel Le Cep, our base for 4 nights, in the centre of Beaune, at 7.00pm, for a private tasting and introduction to the wines of Burgundy. We will then walk to dinner at one of the well known local restaurants. We have organized a visit and tasting in the vicinity of Beaune at a boutique producer followed by a light lunch nearby. In the afternoon we shall travel again in the vicinity of Beaune to visit another independent producer. On all our visits there should be an opportunity to buy wine at keen prices. We shall return to Hotel Le Cep, and meet up to dine at another excellent restaurant in Beaune. Driving in Beaune during the weekend is very difficult as many roads are closed for festivities within the town. Many of the well known producers open their extensive cellars offering an opportunity to taste older vintages of Burgundian wines so we spend the next two days in the town itself where we can enjoy all the festivities. This will be an early start, with a barrel tasting of the 2015 wines to be auctioned on the Sunday afternoon, followed by breakfast on returning to the hotel. We will then visit and taste at two producers in Beaune and normally this gives us the chance to sample some mature wines. We shall return to Hotel Le Cep, and meet up for another local dinner. There will be two more tastings at producers in Beaune, followed by a Black Tie Gala Dinner at the Hotel Dieu, Hospices de Beaune where both food and wines are legendary! £1425 per person sharing a twin or double-bedded room. Because accommodation in Beaune is in short supply over the weekend of the festival, booking double rooms for single occupation incurs a high premium. If you are a single traveler and would like to join this tour, we will contact the hotel to find out what the single supplement will be and advise on other options. What is not included? Travel to and from Beaune. Telephone calls, drinks and other items of personal expenditure charged to your hotel accounts. If you'd like us to arrange a bespoke tour for a small or large group, please email us - we'll be happy to advise.